Section 144 of the Criminal Procedure Code will be implemented to prevent people from gathering in large numbers, which worsens such situations. CHENNAI: Two months ago, a leopard cub that attacked an elderly person was hunted down by a frenzied mob in Bajpur town in Uttarakhand even before the foresters swung into action. The incident has created a furor among wildlife conversationalists and raised the issue of crowd management in such situations. This was only one of many incidents when mob-induced madness led to collateral damage. To keep a check on such incidents, the Union Environment Ministry is considering the possibility of using Section 144 of the Criminal Procedure Code to prevent people from gathering in large numbers, which worsens such situations. “Advisory to this effect is likely to be issued to the state governments by the Environment Ministry. This comes after the National Board of Wildlife-appointed committee, of which the Additional Director General of Forests is the chairman and the Inspector General of Forests the member-secretary, submitted a report recommending to the ministry to issue the advisory. 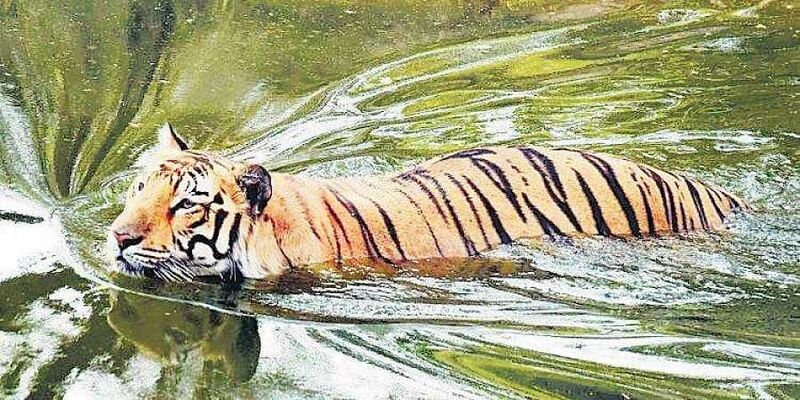 The committee has also asked the ministry to advise state governments to identify and develop the Standard Operating Procedures (SOPs)/action plan to deal with emergency situations when wild animals come in close contact with human beings. “The SOPs and guidelines/advisories have been issued by the ministry for major species such as tigers, leopards and elephants. The SOPs/action plan for other species of wild animals in the centre of man-wildlife conflict in different states is required to be identified and developed. The ministry will issue an advisory in this regard,” the report said. Meanwhile, to improve the skill level of the foresters and field staff, the ministry is likely to make it compulsory for the forest and wildlife training institutes under its control to lay more stress on training in man-wildlife management, if required, by way of modifying the syllabus. “Though the training curriculum in the Indira Gandhi National Forest Academy (IGNFA)/State Forestry colleges and Wildlife Institute of India (WII) course curriculum includes training in human-wildlife conflict, the ministry would advise training institute under its control to ensure intensive training in human-wildlife conflict management,” an NBWL member said. Besides, a compulsory course in wildlife veterinary science in the existing veterinary curriculum will be introduced. The committee asked the ministry to request the Indian Veterinary Council and the Ministry of Agriculture, Animal Husbandry to consider inclusion of wildlife veterinary science as a component of existing veterinary curriculum. To fast-track the payment of cash compensation to victims of human-animal conflict, the states are advised to use mobile phone applications. Also, the compilation of age-old traditional knowledge and methods of dealing with human-animal conflicts is being undertaken to institutionalise its application in combination with modern tools and technologies.